The McAllen / Edinburg / Mission area of Texas is home to a small community of 5,260 registered nurses (RNs), 2,070 licensed vocational nurses (LVNs), and 1,760 certified nursing assistants (CNAs). These professionals earn competitive salaries. For example, the area’s RNs earn an average of $65,700 per year. Local LVNs earn $46,300 annually, while CNAs receive $19,620 per year. However, to break into this career field, you’ll need the right education, training, and skills. Registered nurses typically hold an associate’s degree in nursing (ADN) or bachelor of science in nursing (BSN). Many RNs also pursue a master of science in nursing (MSN). Indeed, healthcare employers in the McAllen / Edinburg / Mission area increasingly prefer nurses with the advanced education of a BSN or MSN program. All aspiring RNs must pass the NCLEX-RN national licensure exam before practicing in the state of Texas. Licensed vocational nurses must complete a state-approved associate’s degree or certificate program, which usually requires 12-24 months of fulltime study. Aspiring LVNs must also pass the NCLEX-PN national licensure exam before practicing. Nursing assistants must complete a brief accredited training program of 100 hours. This CNA certificate program contains 60 hours of classroom training and 40 hours of hands-on resident care in a nursing facility. These programs prepare graduates for the day-to-day duties and challenges of nursing. On a typical day, RNs perform a number of important healthcare duties including treating patients, performing diagnostic tests, establishing care plans, and providing emotional support to patients. LVNs fill vital support functions like measuring vital signs and teaching family members how to care for patients. CNAs help patients perform routine tasks such as cleaning, bathing, and eating; some even administer medication. Skilled nursing professionals are in high demand at top hospitals and medical centers throughout McAllen, Edinburg, Mission, and the surrounding area. 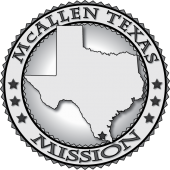 Major local healthcare employers include McAllen Medical Center, Rio Grande Regional Hospital, South Texas Health System, Edinburg Children’s Hospital, and Mission Regional Medical Center. We’ve organized below a list of nursing schools in the McAllen / Edinburg / Mission area that offer some of the best MSN, BSN, ADN, LVN, and CNA programs in Texas.